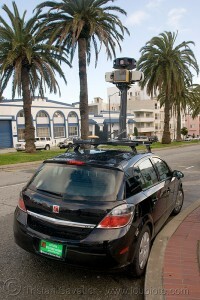 In a blog post, Google has admitted that it has been inadvertently collecting WiFi data through its Street View cars. Earlier Google has told the Data Protection Authority (DPA) in Hamburg, Germany that their Street View cars collect publicly broadcast SSID information (the WiFi network name) and MAC addresses; but no payload data. In the blog post, Google has admitted that they have indeed been mistakenly collecting samples of payload data from open WiFi networks. Google however makes it clear that the payload data they have collected is not being used for any of their product. So how did this happen? Quite simply, it was a mistake. In 2006 an engineer working on an experimental WiFi project wrote a piece of code that sampled all categories of publicly broadcast WiFi data. A year later, when our mobile team started a project to collect basic WiFi network data like SSID information and MAC addresses using Google’s Street View cars, they included that code in their software—although the project leaders did not want, and had no intention of using, payload data. As a result of this incident, Google has stopped their Street View Cars from collecting WiFi network data entirely. They have also said that they will be asking a third party to review the software and to confirm that they have deleted the data appropriately. With all the concerns regarding privacy issue going on recently, this issue is sure to hit Google hard.